If you like photography and you often share the images that you take with your camera on the Internet, it's possible that other users may be taking advantage of your photos to decorate their websites or to use them on any kind of document without your knowledge, which is why it's advisable to have a program like BatchMarker. 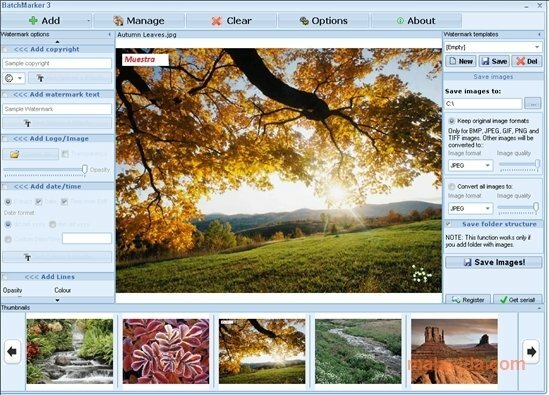 It's a simple tool with which you'll be able to add a watermark to complete photo collections. 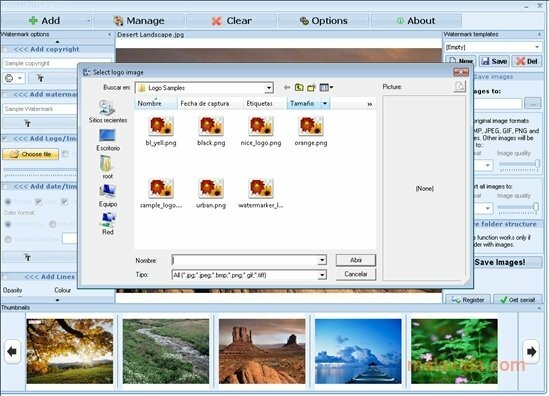 The program is compatible with the BMP, JPG, PNG, GIF, TIFF, PSD, GFI, SCI and PSP formats, among other things, as well as being able to export the files processed in JPEG, BMP or TIFF. 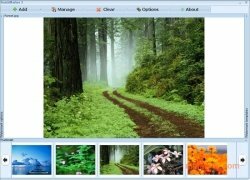 The interface is rather clear and from the main window you'll have access to all the functions and program options, with no need at all to browse through menus nor to configure any tool. 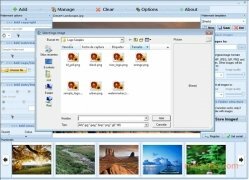 The application is capable of using all kinds of symbols and logos on the watermarks, as well as any text you may want to add. 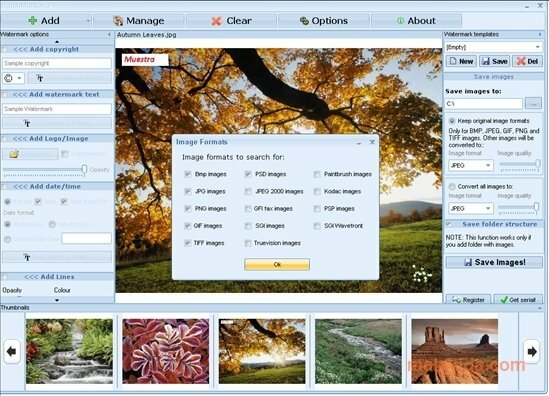 If you were looking for a program with which to protect your images from being published over Internet, download BatchMarker as soon as possible. The trial version has several limitations.